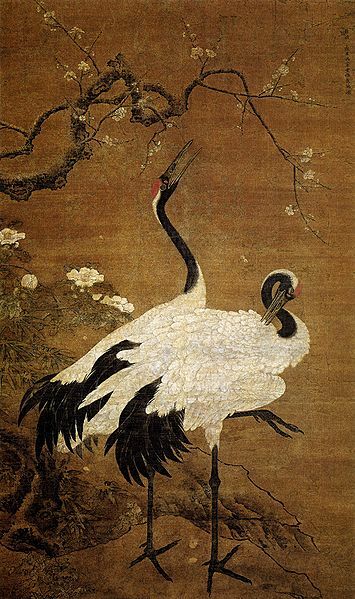 “Snow Plum and Twin Cranes” by Bian Jingzhao, early Ming. Painting. Rey Chow has been one of the most important critics of contemporary Chinese film, often engaging with themes of ethnicity, modernization, nationalism, sexuality and gender. Modern Chinese film did not emerge in a vacuum. Its basic themes, plots and conventions draw heavily off of the area’s rich tradition of story-telling, literature and other forms of visual performance including popular opera. There is also the issue of timing to consider. Martial arts films emerged as an important cultural force in the 1950s. This was also a critical period in the growth and consolidation of modern martial arts traditions in places like Hong Kong, Taiwan and South East Asia. While it might seem more obvious to turn to Chow when attempting to understand recent treatment of the Wing Chun story on film (Yuen Woo Ping’s comedic masterpiece “Wing Chun” comes to mind) I would instead like to see what she might be able to reveal about the forms of Kung Fu folklore that emerged between the 1920s and the 1950s. 7. Although there may be nothing new about reinterpreting the past as a way to conceive of the present and the future—and this is definitely one possible way of understanding primitivism—my proposal is that this ‘structure of feeling’ finds its most appropriate material expressed in film. (Chow 1995:22-23 as quoted in Paul Bowman, Martial Arts Studies: Disrupting disciplinary Boundaries, 2015 forthcoming). Rey Chow clearly developed the idea of “Primitive Passion” as a way of analyzing contemporary Chinese film (as emphasized in point seven). Yet on a theoretical level the basic outline of her argument could have much broader applicability for those attempting to understand themes in Chinese popular culture. Given their shared relationship with Cantonese opera, wuxia novels, and 20th century roots, I suspect that the folkloric narratives of the various martial arts styles may bear many of the same hallmarks that Chow identifies in Chinese film. After all, these stories were explicitly propagated to address many of the same questions, and they seem to have been aimed at similar audiences. Consider for instance her first three points in relation to questions of geography and setting. In narrative terms, why did Yim Wing Chun have to travel all the way to the western borders of the state to learn Kung Fu? Surely Guangzhou was not devoid of bandits, pirates and secret society members who could have advanced the plot of the story just as efficiently as a small-town marketplace hooligan? Nor did the Pearl River Delta suffer from a lack of qualified martial arts teachers. The combination of vibrant local trade and increased insecurity during the second half of the Qing dynasty conspired to ensure that the entire area was practically overrun with private security guards, retired soldiers, archery teachers, village militia members, bandit chiefs and any number of other individuals who would have cut an imposing figure as a kung fu mentor. Why the flight to White Crane Mountain after only a briefly mentioned unspecified criminal accusation? We will return to the question of justice in bandit narratives in a later post. Yet in narrative terms the economic development that made Guangzhou and Foshan incubators for martial arts development in real life also suggested that these locations might be uniquely unsuited to host something like the Wing Chun creation myth. Chow’s first and third points illustrate why. The modern southern Chinese martial arts emerged and were reorganized during a moment of social crisis. Part of this stemmed from the decline of the Qing dynasty starting in the first years of the 19th century. Yet much of it also flowed from the increased contact with foreign goods, technologies and cultural systems that occurred as western trade rapidly grew throughout the region. Of course Guangzhou (and by extension its economic satellite Foshan) were the geographic center of this crisis. 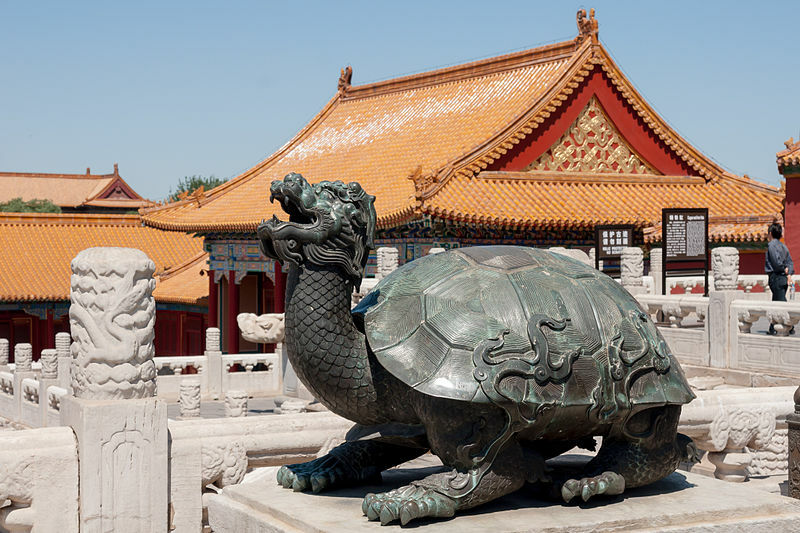 Prior to the Opium War all western trade was directed at this city which became the center of competing cultural, economic and political forces. The very concrete nature of the historical events taking place in the Pearl River Delta drove the crisis of the mid-19th century. Many authors found themselves forced to abstract away from these events in an effort to tell a story in which universal and untainted cultural themes could play themselves out, far from the complicating realities of the coastal urban areas. 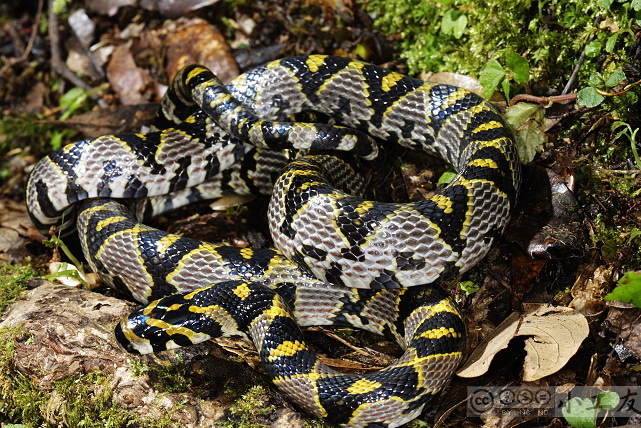 Euprepiophis mandarina. Probably my favorite Chinese snake. The uniqueness of White Crane Mountain lies in its pure generic nature. Here, at the very edge of the empire, we find a setting that is as close to universal as one can get. The stage consists only of a mountain, a temple, a single village and the problem of “bare sticks” (young unmarried males) making trouble and fighting in the marketplace. In the early 20th century such a village could be found practically anywhere. Yet to be universal all of the particulars had to be stripped away. In a time of national and social crisis such a place could only be imagined at the most extreme and “primitive” edge of the empire. That is where we must go to see how a reevaluation of Chinese identity can resolve the crisis at hand. But what is the actual crisis in this story? By the time that the Yim Wing Chun narrative is first set to paper the corrupt Qing dynasty is long gone. Nor is anyone in southern China really interested in turning their backs on international trade and modernity. Indeed, the crisis that drives this story is an institutional one. This myth is fundamentally meant to explain that nature of the community to members who have just joined, or are thinking of supporting, this institution. The story entertains, comments on the nature of Wing Chun as a technical system, but also provides a way of relating to other forces within Chinese popular culture. These institutional concerns reveal themselves in two aspects of the story. Both center on the proper response to fundamental cultural disruptions. The first crisis is the state’s challenge to Shaolin kung fu after the burning of the temple in an act of fragrant betrayal. The second crisis is more personal in nature, revolving around the problem of a broken engagement (the result of Yim Wing Chun’s flight from Guangzhou) and the ongoing threat to her future social status in the form of marketplace bandits who have taken too much interest in her person. Having set the stage in a universally accessible mythic past, how does the creation of Wing Chun kung fu solve these problems, and what does all of this imply for the much more real social crisis facing actual students of the art in the 20th century? In his forthcoming volume, Martial Arts Studies: Disrupting Disciplinary Boundaries (2015, Rowman & Littlefield), Paul Bowman extends and challenges the concept of “primitive passion” in Chinese storytelling first advanced by Rey Chow in 1995. Bowman clarifies that in many Hong Kong films the ‘nature’ which the narrative attempts to embrace is not some generic natural or psychological world, but rather a specific culturally mediated institution. It is a uniquely “Chinese nature” that is at threat of being lost in the clash with modernity. Further reflection again suggest that the basic dynamic advanced by Chow and refined by Bowman can be found in all sorts of martial arts stories in addition to those that find their way onto the big screen. After all, the southern Chinese martial arts are practically united in their claims to be descended from the survivors of the Shaolin Temple. What is this narrative except an extended meditation on the challenges of institutional transmission in a time of national crisis? In fact, audiences are likely to identify these events as a “crisis” precisely because they imperil the many social and lineage relationships that define the current social order. The promise of a new institution, one that retains the essence of the primitive and the sanctity of social responsibility while adapting itself to the challenges of the new era, is likely to be immensely popular. This will be the case whether the story is displayed on the big screen or ritually enacted in southern China’s martial arts training halls. Indeed, the most successful stories are those that enchant daily activities with a new layer of meaning. This is precisely what we see in the Ng Moy/Yim Wing Chun dyad. Unlike the Abbot Jee Shim, Ng Moy does not attempt to rebuild the Shaolin Temple or to resurrect the past. Instead she draws on natural (dare I say primitive) sources of inspiration to uncover that true nature of Yin (feminine) power in the martial arts. 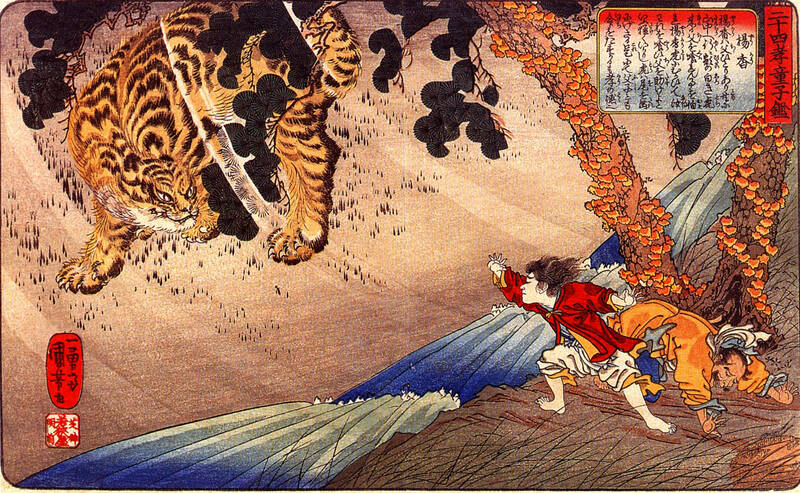 Just as Chow predicts, White Crane Mountain is full of both wild animals (cranes and wild cats) as well as people (bandits and virgin girls) who symbolically demonstrate the central concepts of her combat system. Of course Douglas Wile, in his discussion of the evolution of Taijiquan has already noted that such narratives play directly into the evolving discourse surrounding western imperialism, the nature of Chinese culture and possible strategies of resistance. The fact that the basic institutions of Wing Chun are also structured around voluntary association (the students that teachers choose to accept) rather than closed family lineages (made triply impossible given the destruction of the temple, Ng Moy’s celibate status, and Yim Wing Chun’s lack of children) all serve to signal the creation of new institutional strategies to embody primordial identities. Late Ming, Embroidered Panel featuring dragons. Circa 1600. The preceding essay has attempted to accomplish two things. First, it has introduced Rey Chow’s concept of “Primitive Passion” as a powerful analytical tool for making sense of some of the most common trends in Chinese martial arts folklore. The tendency of these stories to turn their backs on the nuances of history in favor of what at first appears to be self-Orientalizing mythmaking can be seen as an attempt to engage in a set of conversations about identity, modernity and the transmission of social values that is only possible when stories that have abstracted away from particular events to enter a more “universal” realm of meaning. Given the nature of these stories it is unlikely that researchers will gather much historical data from them. That was never their purpose. Yet to ignore them would be equally disastrous. They demonstrate that 20th century martial artists, far from being unsophisticated rubes, were actually crafting their own discourses responding to some of the most pressing and complex national debates of their day. Only after we grasp the essential nature of this exercise can we begin to identify the relevant details of the various stories. We can then unwind the different ideas that made up the world of China’s 20th century martial artists. This would be a fruitful line of research for anyone interested in taking up the challenge. Secondly, this post strongly suggests that while southern China has a centuries long hand combat tradition, the modern martial arts systems that exist today can very much be thought of as a response to the problems of disorder, imperialism and violence that emerged in the 19th century and dominated first half of the 20th. Specifically this protracted period of social change necessitated the creation of new types of institutions capable of carrying out specific functions and also conveying core cultural values. The stories that see surrounding these styles, when read on a more theoretical level, suggest that these organizations may have understood themselves as creative solutions to the 20th century’s crisis of social transmission, rather than as a simple reflection of a timeless past. If you enjoyed this you might also want to read: Ming Tales of Female Warriors: Searching for the Origins of Yim Wing Chun and Ng Moy.